I have a little gig on Saturday night at the Adam & Eve pub in Hotwells. I’m doing it with my good friend Jane Thomason which seemed like a good idea. Initially Everton Hartley will also feature – he has another gig on Saturday so he’ll only be around for the 1st half hour (9-9.30). 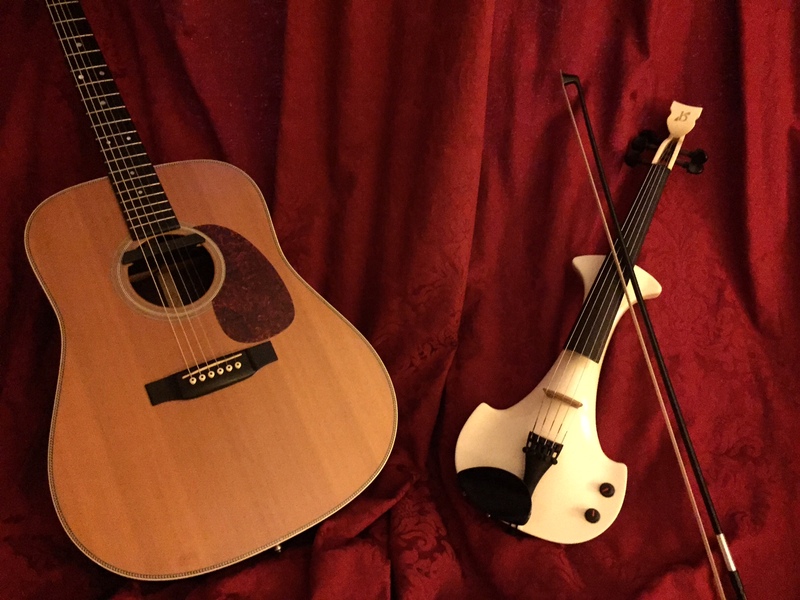 The plan is that Everton and I will do our guitar duo thing, then Jane will do a set of her wonderful songs and then she is going to accompany me on violin for a mostly instrumental set. We’ve only got 5 pieces that we’ve worked on, but all the pieces are vehicles for improvisation and have no set length. The image is one that Jane has created and used on her Facebook page to publicise the gig. This entry was posted in gigs, music and tagged everton hartley, jane thomason. Bookmark the permalink.